August 1914. England is at war. 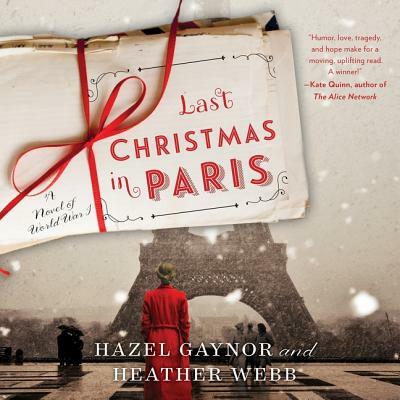 As Evie Elliott watches her brother, Will, and his best friend, Thomas Harding, depart for the front, she believes--as everyone does--that it will be over by Christmas, when the trio plan to celebrate the holiday among the romantic cafes of Paris. Evie and Thomas experience a very different war. Frustrated by life as a privileged young lady, Evie longs to play a greater part in the conflict--but how?--and as Thomas struggles with the unimaginable realities of war he also faces personal battles back home where War Office regulations on press reporting cause trouble at his father's newspaper business. Through their letters, Evie and Thomas share their greatest hopes and fears--and grow ever fonder from afar. Can love flourish amid the horror of the First World War, or will fate intervene?